Spring event season has come to and end – go ahead, take a breath of that fresh air and smile. You deserve it. With summer just around the corner, the hjc team recently gave you advice on how to ensure your event season is a success. This week, we’re giving you a few tips to help your non-profit over the summer months before planning for next year heats up. You’ve probably had the formal meeting with your team but now is your chance to pat yourself on the back because, well, you survived a chaotic time. Find a space that is conducive to reflection and write down what you did well and what you would like to improve on for next season. Note – I would suggest trying to do something off-site to help facilitate gathering feedback and brainstorming better. Take the time to look at metrics so you are not just evaluating your event(s) based on qualitative reflections, but quantitative data. Putting a plan together is the most important thing to do. Don’t let your evaluation sit in a folder to gather dust; this is the time to map out the next season and to get excited about the improvements you will to make. Reach out to your non-profit’s supporters, whether they were a donor or participant, and let them know what you’re doing with the money they gave you. Many organizations do this part poorly and take a break for a while until they are ready to solicit registrations or donations for the next event. Put yourself ahead by scheduling monthly or bi-monthly communications that share impact and take every opportunity to say thank you. You don’t have to stay clear of holiday weekends – emails that tie into the holiday can actually help lift email open and clickthrough rates! It’s wedding, BBQ and yard sale season. How is your DIY fundraising program working? Do you have past event participants who couldn’t participate in the spring event but still want to raise money for your cause? Send them to your DIY site! Make sure you share examples of what other people are doing during the summer season. It’s a perfect opportunity to appreciate some of your great DIY constituents and inspire others! Volunteer at the golf tournament, attend the staff social or just try to connect with other folks at your organization. Generally, there are less formal meetings in the summer so now is the time to re-connect and engage in different ways than you would during the rest of the year. The unofficial end of the event season gives you the opportunity to come at things with a refreshed outlook and remind yourself of why you do the work that you do, so make the most of it. Matt is a seasoned professional with more than a decade of experience in the non-profit sector. He is passionate about how the sector will advance through knowledge sharing, continued learning and never settling for the status quo. Since joining hjc in early 2015, Matt has worked on a variety of complex, multi-tiered projects that push organizations to reach higher. Through implementing a variety of technologies with a diverse group of clients, Matt has learned that a positive attitude and an innate curiosity are key components to a project’s success. 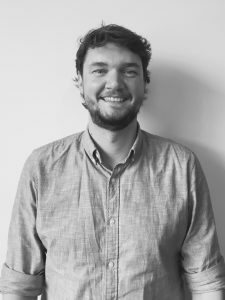 As a Digital Services Consultant Matt combines theoretical practice with the hands-on heavy lifting of getting a project completed on time and on budget.